Examine if you will some of the words and phrases used to define Trendsetter: One who starts something and others follow; Takes the lead; Sets an example; Closely watched and Groundbreaker… all characteristics that immediately introduce you to one of Atlanta’s most reputable and prominent Publishers. Willie (Will), a forward thinking and inspirational leader, believes everyone should have a passion, a PURPOSE in life, that makes them wake up every morning and hit their grind with a smile, even if it means just three hours of sleep. So why are we featuring the Publisher in THIS issue? Because we are celebrating a 12 year momentous occasion of "Positive Publication" with Trendsetters to Trendsetters Magazine, established in February 2007. A decade of putting in his dues to deliver a quality coffee table magazine, edition after edition, has been realized. Originally a black and white newspaper-like publication, T2T has evolved into a massive ensemble of glossy full color printed and digital media. Its presence graces the social media platforms with stories that extend from the household celebrity, to the unsung hero... from the young—to the young at heart. Will has never allowed his vision for the magazine to become cloudy. He has remained true and committed to producing a unique networking magazine that engages, inspires and motivates the readers, while at the same time serving as a solid platform for introducing and highlighting movers and shakers, some known, and others newly discovered and exposed through the intriguing and noteworthy featured articles. 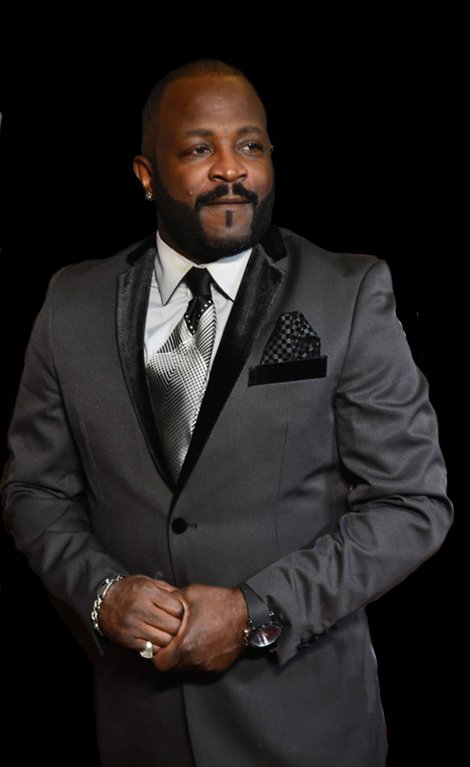 Will is a purpose driven media mogul and publication guru trained from the school of "hard knocks." He is strategic in his work, but at the same time tactical and engaging. He is the epitome of an inspirational leader, always bringing a fresh perspective and willingness to take calculated risks. Will is tough, as his role of the CEO demands such. He has an uncanny ability and foresight to identify market trends well before they occur. Although not easy, Will has stayed the course through some not so great economic times. Throughout the magazine’s 12 years, he has overcome many obstacles. He has spent countless hours cultivating his own style and reputation in the business. The T2T culture has been founded on inspiration and superior team collaboration. Under his direction, the team has successfully taken the magazine content to key stakeholders through effective writing, marketing, and an explosion on social media. He took a chance, sold everything, left Ohio, and the streets, and journeyed to an unknown land - Atlanta, Georgia, to find peace and pursue a new calling. He helped a friend, Sharon Gordon, to start a publication, Urban Trendsetters, and gained enough knowledge to branch out on his own. He connected with a few people, shared his vision, and utilized his marketing degree that had been lying dormant for so long. Negativity was no longer his scene. He was now swimming deep in the sea of positivity. A wise man once told me, if you get it in the streets, you leave it in the streets. In the beginning, he struggled to brand his publication and by the time he mastered his niche, he found out that he had to keep up with the new trending digital era. But, like his football career and life in the streets, he optimistically leaped into position to block any opponent that tried to stop his progress. Dubbing himself, "Call me Willie Weeble Wobble," he was learning to master the art of getting knocked down, only to bounce back up. This strategy would pay off in the long run and TWELVE YEARS later, with God, it has earned him a seat at the table of some of the most iconic legends and influential people, he would meet. Will has served as a sought after guest speaker on a myriad of shows and continues to avail himself to others, always delivering a positive message. Trendsetters to Trendsetters is a beacon of light publication that uplifts others. "We tell stories in a positive manner. What you do when you leave the plantation is not our business, but what we see you do to uplift and empower is. The story we want to tell is of how you overcame your struggles... the stories that encourage and inspire, because nobody's perfect…. There are so many people who are lost, so we hope they read our magazine which includes many topics like: Up and Coming, Young and Trending, Health and Fitness, Arts and Entertainment, Mixing Love and Business, Authors, Inspirational, Beauty and more. For that person, we hope they find someone that they can relate to, and be motivated or inspired by what they are reading....PERIOD. Will attributes his success to God and his amazingly talented team of professionals. For an extensive coverage interview, visit this link: https://www.spreaker.com/user/kimmiekimm/from-under-a-bridge-with-blossom-rogers_6 to find out what he shared with radio host, Blossom Rogers.